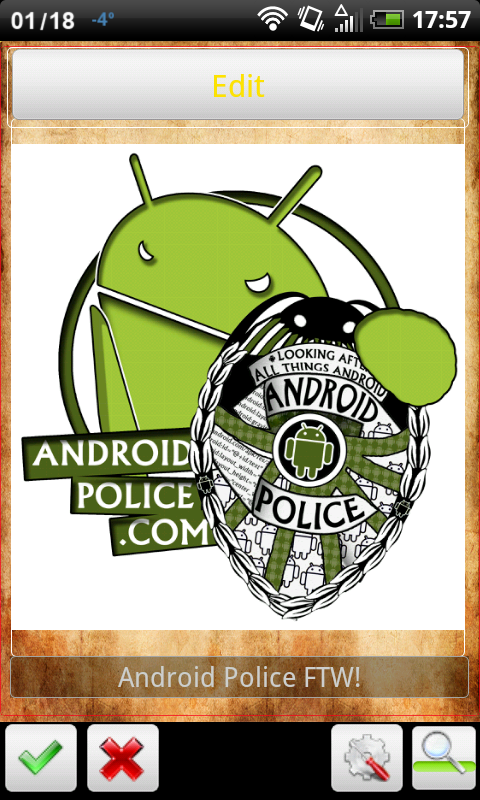 The app just went into public alpha testing, and if there ever was an Android app worthy of recognition, this is it. Let's take it for a spin, shall we? 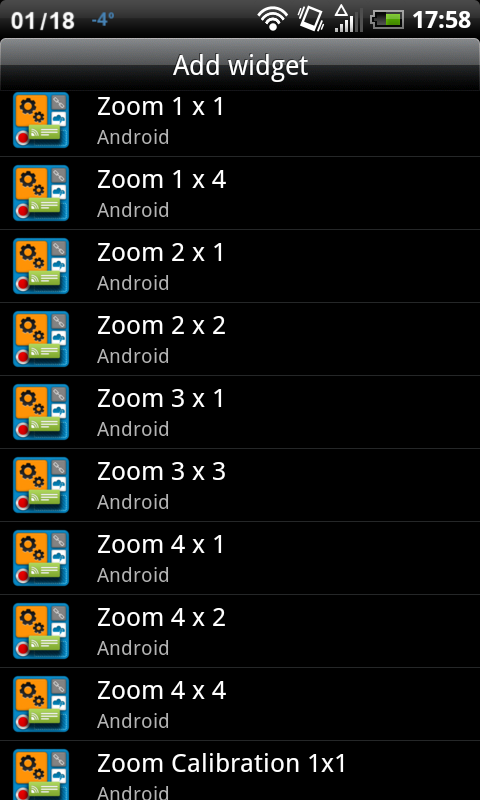 The setup process is a bit more complicated than that of most apps, but it's still nothing that Zoom's intended audience (read: Android geeks) won't be able to handle. 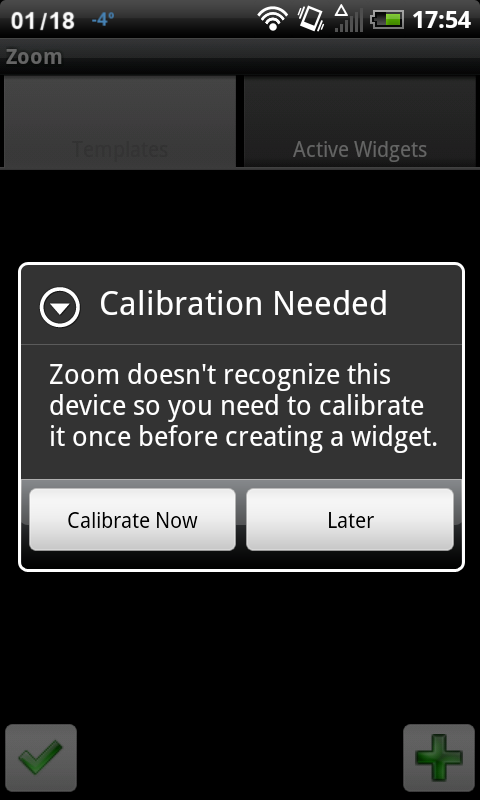 In short, you have to "calibrate" Zoom so that it can recognize your device, your resolution, and your display size. 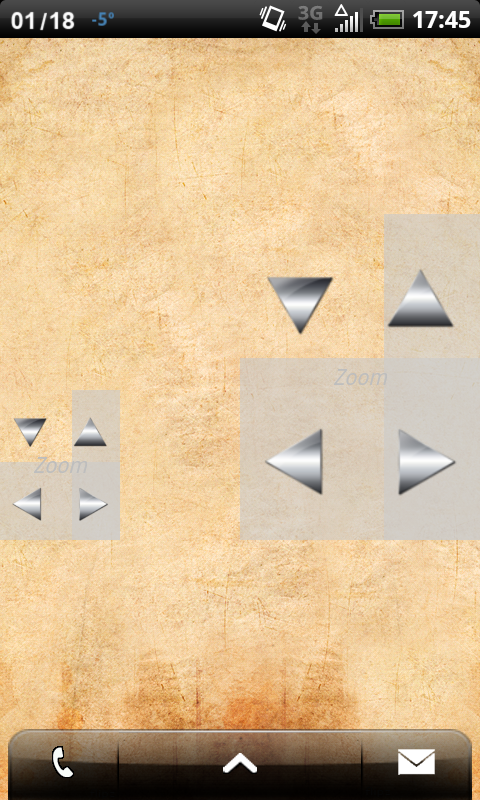 This is done via two widgets, which contain arrows you must tap repeatedly until all the gray disappears from them. It sounds a bit odd, but it's really quite simple - and when you're done, you'll be ready to start creating your own custom widgets. 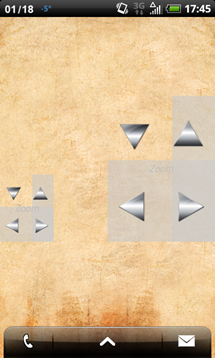 The widget-making process begins with a screen that should look a lot like the leftmost one in the above series, from which you can change the widget's basic settings (i.e. 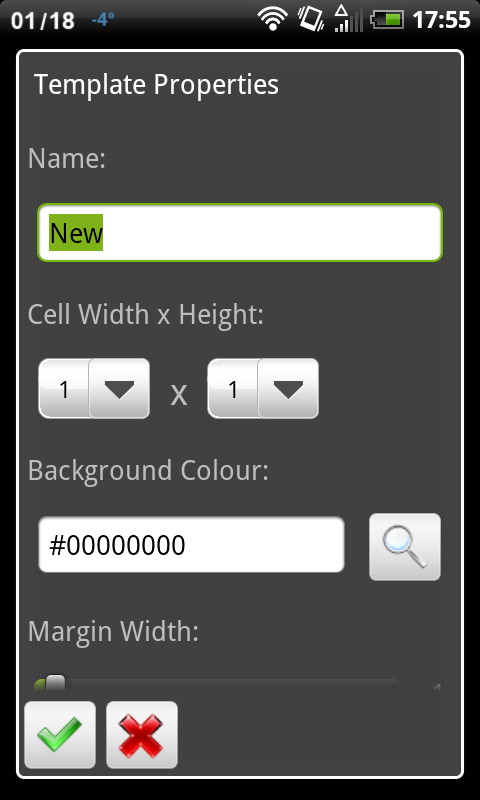 its name, width/height, color, and visibility). 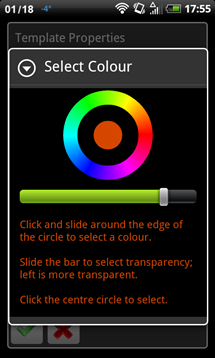 After this, you proceed to the screen seen in the middle, which allows you to add images, text, and buttons to your widget - basically, this is where you make the widget. Once the images/text/buttons (aka elements) have been added, you can resize them, rename them, change their colors, and edit their various properties. One particularly cool feature is the ability to set an element's "Action Type" to "Load App," so that when a certain part of the widget is tapped on, an app of your choice opens. Thus, you can create custom icons for your favorite app(s) - icons that can be much smaller or much larger than regular app icons. 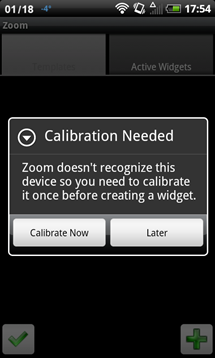 Zoom may not allow you to finetune the widget as much as the Android SDK does; but it's good, geeky fun - and isn't that what we're all here for anyway? 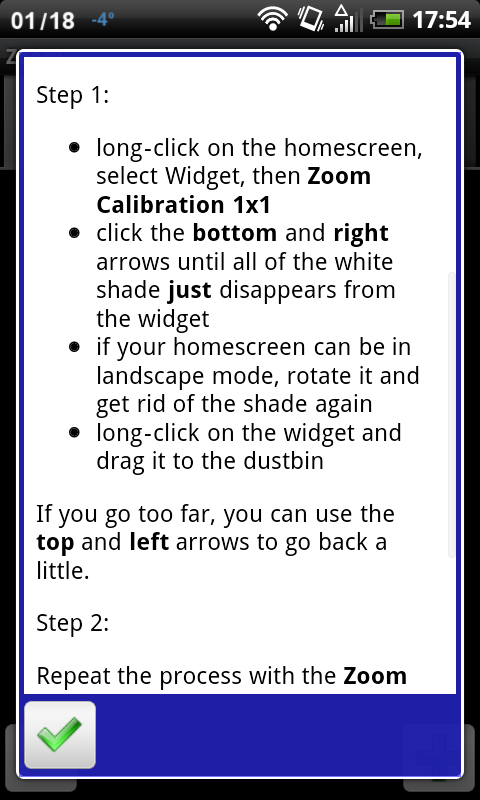 The process of getting your newly created widget to appear on your phone's homescreen is deceptively simple. 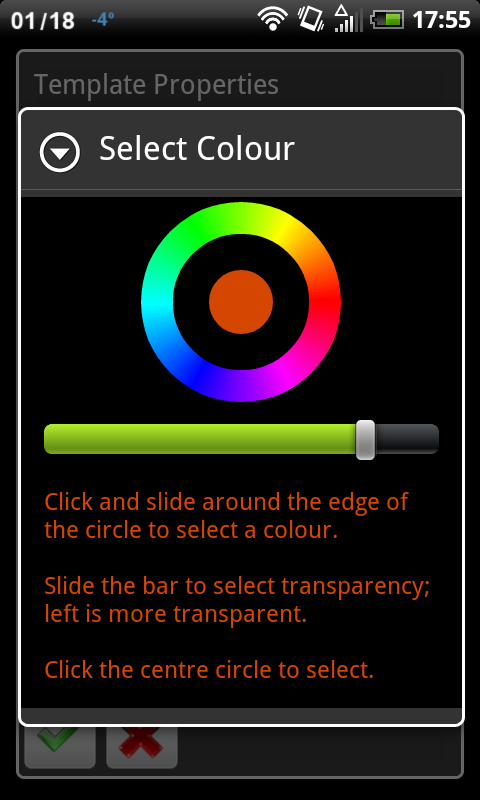 First, do what you would to insert any widget on your homescreen: long press it and then select '"Widget." Then select whatever aspect ratio your widget is (my example widget was 4x4). You should be greeted by a popup not unlike the one in the second screenshot. One might assume that simply tapping the name of your widget would select it; however, this is where things get complicated. 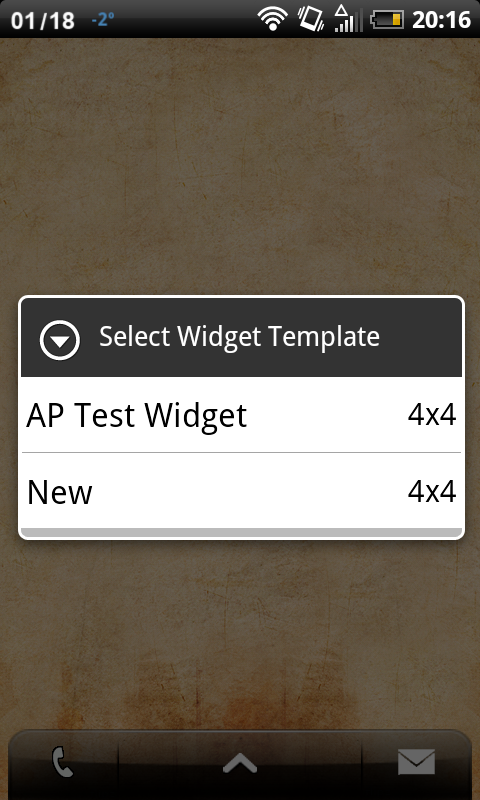 Due to a bug in this version of Zoom, tapping on the name of your widget will actually bring up another widget - in my case, there was only one 4x4 widget, so tapping on its name selected the option to create a new widget. Therefore, to actually get my widget to appear on the homescreen, I had to tap on "New." Confusing and certainly not something the end user should have to deal with - then again, this is only a first alpha version, so there are bound to be bugs. 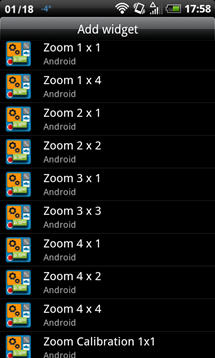 While Zoom probably won't become quite as mainstream as Tasker due to the fact that most people out there just aren't that interested in creating widgets (heck, most Android users probably don't even know what a "widget" is), I can still see it being downloaded quite a few times. 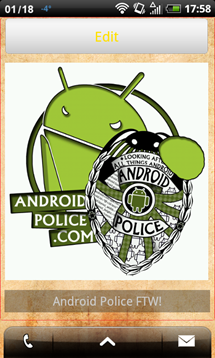 And when it finally gets Tasker integration, I think it'll be unstoppable. 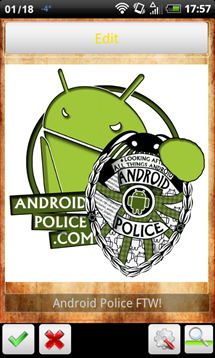 Like I said, it's good, geeky fun - and I think geeks are who this app is targeted at. Well done, Crafty Apps. 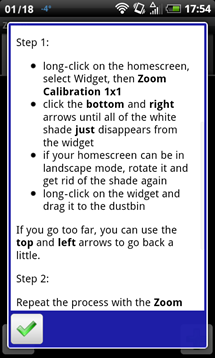 If any of this has caught your eye, be sure to try Zoom Widget Designer out for yourself by downloading the latest alpha/beta from the Zoom website. Then, be sure to let us know how Zoom is working out for you via the comments below.